Watch, listen, feel, experience, learn and grow. 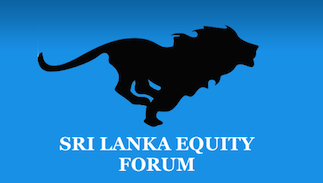 Sri Lanka Equity Forum » Stock Market Talk » Watch, listen, feel, experience, learn and grow. Investment is something we must make with our brains and not with our hearts. Have you ever heard of the saying “Water and Oil – Do Not Mix”? Emotions and Investments are almost the same. Investing in stocks is a risky business. However, if you never take any risk it may be difficult to reach your financial goals. The expectation of a high return in a short time frame is not realistic. Invest in more than one or two stocks so that lose in one stock can recover from the profit in another one. Don’t buy all the stock at one time, buy a small amount at first and see what happens. Practice with using small amounts. That way you will be able to see how to play the stock market without losing If it goes down a little, buy some more. Make small trades but always practice with real money. With real money, you feel the pinch when you lose, and you tend to learn the lessons faster. Learn quickly, be savvy, and in time to come, you will profit handsomely from your past investment mistakes.